Many of the construction waste materials can be reused as a renewable resource through sorting, removing or crushing. Construction waste recycling processing technology has already matured in the foreign countries, but in China it was still a blank. However, after many trials and technology introduction, the construction waste recycling processing technology in China tends to improve these years. 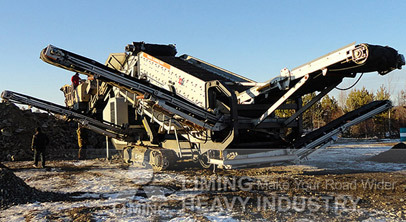 The mobile crusher is mainly aimed at the manufacturers with small venues and complex construction environment. What’s more, the mobile crusher can work under any conditions because of its convenient operation, high intelligence, and easy transportation. While, the production condition of stationary crusher is much more stringent, it needs a large venue, more equipment to realize the mass and large-scale production. We hold the opinion that only through investigating the customer site can we decide which kind of device they should choose. And only in this way can we reduce blind investments by offering our customers suitable crushers. Because the compositions of raw material of different customers are always different, we will have engineers do a series of field measurements when our customers choose equipment to guarantee that the equipment can satisfy customers’ manufacture requirements. Be sure not to believe some manufacturers’ price before investigating, this is a kind of highly irresponsible behavior which may add more cost of production at later stage.